In law enforcement, there are few situations that are clear-cut, and disorderly conduct is one of the fuzziest. 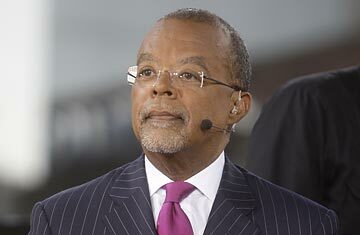 As Harvard professor Henry Louis Gates Jr. now knows all too well, the misdemeanor charge can be used to corral people who are simply uncooperative or rude. State statutes are designed to help police officers maintain authority, and they are so broadly worded that divining what constitutes disorderly conduct is left up to the discretion of individual officers. "It's probably the most abused statute in America," says Eugene O'Donnell, a professor of law and police studies at John Jay College of Criminal Justice in New York City. Perhaps not surprisingly, a good chunk of disorderly-conduct charges end up being dropped, as happened in the case against Gates, who was arrested on his porch on July 16 after yelling at the officer who responded to a report of a possible break-in at the Harvard scholar's home in Cambridge, Mass. Gates, who is black, accused Sergeant James Crowley, who is white, of being a racist and also cast aspersions about the cop's "mama." "Mr. Gates was given plenty of opportunities to stop what he was doing. He didn't. He acted very irrational. He controlled the outcome of that event," Crowley told WBZ Radio in Boston on July 23. Talking trash by itself isn't a punishable offense  unless, it seems, you draw a crowd while doing it, which is part of the allegation against Gates. That's why in the wake of the Gates incident, cops are holding firm on the need for lots of latitude in issuing disorderly-conduct charges. President Barack Obama, who said earlier this week that Cambridge police had "acted stupidly," called Crowley on July 24 to make nice, though he stopped short of issuing the apology that Massachusetts police unions sought and maintained that he still thought "there was an overreaction." "Disorderly conduct is a fluid concept," says Tom Nolan, a criminal justice professor at Boston University who spent 27 years in uniform at the Boston Police Department. "Unlike a lot of other crimes, this really calls for the use of discretion in a way that armed robbery or more serious felony crime doesn't. The less serious a crime, the more officer discretion you use," he says, adding "discretion is judgment that we hope is based on wisdom, experience and training." Disorderly conduct has its roots in the mid-19th century, when police officers needed a way to quell street brawls that erupted frequently between recent immigrants and already established residents, often regarding labor issues. Crowds would gather and cops needed to restore order in public places. According to the Cambridge police report, Gates exhibited "loud and tumultuous behavior, in a public place" that "caused citizens passing by this location to stop and take notice while appearing surprised and alarmed." The issue of whether or not Gates  first in his home and later on his front porch  was in a public place has sparked plenty of debate, including in the blogosphere. Crowley's account of the incident included the detail that "at least seven" passersby had stopped to rubberneck. Sam Goldberg, author of Boston Criminal Lawyer Blog, thinks the report includes that detail in order to bolster the case that this altercation was playing out publicly. "It's as if he was saying, 'Look, he was really causing a disturbance,' " says Goldberg, a criminal defense attorney at the Cambridge-based firm of Altman & Altman. Jon Shane, who spent 17 years as a police officer in hardscrabble Newark, N.J., said that had he been the cop called to Gates' house, he would have left Gates and his huffy comments alone once he was sure Gates was the homeowner. He admits he may well have been offended by the professor's alleged bluster, but that's just part of the job, so much so that there's a term in police vernacular devoted to situations like this: contempt of cop. "In contempt of court, you get loud and abusive in a courtroom, and it's against the law," says Shane, now a professor of criminal justice at John Jay who specializes in police policy and practice. "With contempt of cop, you get loud and nasty and show scorn for a law-enforcement officer, but a police officer can't go out and lock you up for disorderly conduct because you were disrespectful toward them." The First Amendment allows you to say pretty much anything to the police. "You could tell them to go f___ themselves," says Shane, "and that's fine." Like Shane, there are plenty of cops and ex-cops who think Gates' behavior didn't warrant the disorderly-conduct charge, and there are those, like Nolan, who feel it did. "Police pride themselves on resolving issues, and 99% of the time it occurs without arrests happening," says Nolan. "You are not going to win any accolades bringing in anyone for a street disturbance. It's a waste of time because in order to bring this situation to a conclusion, you've got hours of paperwork ahead of you." "You do it because you have no other tool at your disposal," he says of disorderly conduct. "There really isn't any other choice." See pictures of Michelle Obama behind the scenes.